Flu Immunizations — WPV Inc.
Come See Why We've Been The Trusted Choice For Flu Immunizations For Over a Decade! Flu Prevention Partners immunizes over 25,000 patients across upstate new york every year. 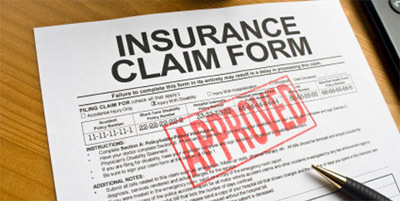 We accept most area insurance plans, at no up-front-cost to you. For those without insurance, the fee is $35 and we accept cash or check. We are able to immunize participants 18 years of age and older. Check out our calendar of community flu clinics to find a location near you or check out our complete Community Flu Clinic List here. Flu Prevention Partners is a division of WPV that provides timely, professional, quality and cost effective flu vaccination and education services to the general public and corporate partners. These services are done both on-site at employer locations as well as at community clinics across NY state. We have provider contracts with multiple insurance carriers (see the insurance section below), so most employers who partner with us can do so with minimal upfront costs. Flu Prevention Partners' 17 year track record of success in community and corporate health services, education and population management research comes from an experienced nursing staff. The experienced and professional staff at Flu Prevention Partners provides flu prevention services with genuine interest and concern to deliver high quality, personalized care that you will not find elsewhere. We provide you with sample promotional posters, e-mail templates and supplemental resources to ensure that your flu clinic is a success. Click here to check out our materials. Flu Prevention Partners is a full service flu vaccination provider with experience in designing and implementing large organizational cost-effective flu vaccination programs. We invite you to contact us to find out what we can do you for you and to get started on planning your company's employee flu vaccination program. We would be honored to be your flu vaccination program partner. You may also download and fill out the below PDF form to schedule and confirm your on-site flu clinic. Upon completion, please scan/email it to info@wpvinc.com or fax the form to (585) 641-0372 ATTN: Flu Clinic Coordinator. In order to receive the flu vaccine, the law requires you to first fill out the Influenza Vaccination Consent form. If you plan to visit one of our flu clinics you may download, print, fill out and bring 2 copies of the consent form with you to the clinic. Please note that each form will have 2 signatures, one from you and one from the nurse after you receive the vaccine. Bringing the ready form with you may allow us to better serve you by expediting your visit and allowing us extra time to answer any questions you may have about flu or the flu vaccine that you would be receiving. Flu Prevention Partners adheres to and follows all rules and regulations on Health Information Privacy set by the U.S. Department of Health and Human Services (HHS). Any and all information disclosed by you to us will be used only for successful delivery of our vaccination services to you and will be protected under the full extent of the law. If you would like to find out more about your Health Information Privacy Rights, you can download WPV's notice of privacy practices by clicking here. For additional information, please visit the HHS Health Information Privacy website at www.hhs.gov/ocr/privacy. Please note that specific plans under MVP and Blue Cross/Blue Shield are covered in full. We do not know the specific coverage for the flu shot for every insurance plan. There may be full, partial or possibly no coverage. We will bill the insurance provider directly initially with no up front cost to you, however if there is partial or no coverage for the flu shot, then we will bill you accordingly. If we cannot honor your insurance plan or if you do not have insurance, the payment will have to be made in full at the time of the visit, by personal check or with cash. The cost of the service is $35. If requested, we will provide you with an approved receipt of payment and services rendered that can be used for insurance claims. Please note: We do not accept credit cards. This is one of the ways that we keep our costs down and can pass the savings on to you, our clients. Schedule your flu clinic or flu shot today!